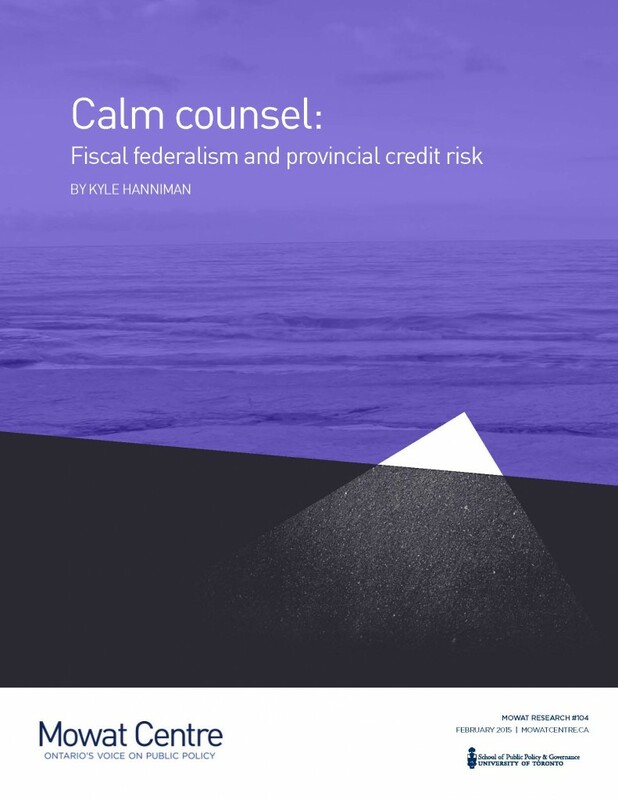 This Mowat Note assesses the risks of a provincial debt crisis and suggests proposals to limit these risks, with particular attention to fiscal federalism. Provincial finances in Canada have deteriorated sharply since 2009. Like a number of subnational governments, the provinces have turned to credit markets to fund their fiscal shortfalls. But unlike most subnational governments, the Canadian provinces borrow without national restrictions. They also borrow to finance operating deficits and a range of politically sensitive programs. Predictably, the scale of provincial borrowing has been immense. The provinces’ debt-to-GDP ratios dwarf those of American states. No state, not even the much-maligned California, rivals the absolute or per capita liabilities of Ontario or Quebec. Remarkably, this situation has not impeded the provinces’ ability to borrow. Interest rates are low and the major rating agencies are confident the provinces will continue to repay their debts. But many warn that these conditions will not last. This Mowat Note assesses the risks of a provincial debt crisis and proposals to address them. It pays particular attention to the risks posed by Canada’s system of federal-provincial transfers. The report argues that the chance of a near-term debt crisis — in the form of significantly higher interest rates — is minimal. Benchmark rates are likely to remain low for some time and risk premiums on provincial bonds are constrained by Canada’s triple-A credit rating; the provinces’ extensive powers of taxation; and the belief, widely held among investors, that provincial debt is federally guaranteed. But long-term risks are mounting. Provincial debts are large and growing and the provinces are far more vulnerable to interest-rate shocks than the federal government. This should worry residents of heavily indebted provinces, but it should also worry Canadians at large. A crisis in one province can easily cause problems in others. The situation may get worse. Provinces are struggling with ageing populations, rising health care costs, weak revenue growth and a number of other fiscal strains. What is more, Canada’s system of federal transfers is failing to keep pace with the provinces’ shifting fiscal positions. This has resulted in a series of perverse redistributive outcomes, the most notable of which is a net transfer of tax dollars from residents of Ontario, a province with below-average fiscal capacity. Not only does this make it harder for Ontario to balance its budget. It also fuels tensions over Canada’s transfer arrangements. It is possible these conflicts will result in a more equitable transfer system. However, it is also possible that they will result in deals that resemble bailouts. This would undermine fiscal discipline and increase provincial debts further. An intuitive solution is to allocate transfers according to clear and principled rules. This would limit bailouts and perverse redistribution by constraining intergovermental bargaining and federal discretion. Unfortunately, this is easier said than done. No system of redistributive transfers can avoid renegotiation for long and Canada’s requires reform. What is needed is a mechanism to reconcile principled transfers with the capacity to adapt to changing circumstances. This paper proposes such a mechanism: a neutral council capable of monitoring and assessing Canada’s transfer arrangements. The proposed council would lack formal decision-making authority. Thus, the potential for perverse redistribution and bailouts would remain. But its assessments would potentially discipline these tendencies by alerting voters and journalists to unprincipled transfers and bargaining positions. A council could support provincial finances in several ways. At a minimum, it would assess whether transfers are fair and consistent with principles of fiscal discipline. But it could also assess their risk-sharing and stabilization properties. Few, if any, provinces will welcome a neutral body’s oversight. But the provinces’ fiscal positions are highly volatile and the transfer system is failing to keep up. This makes all provinces vulnerable to perverse redistributive outcomes. It also makes the federation vulnerable to ad hoc bargaining over transfer arrangements. A neutral council would limit these risks. An independent council is no panacea. It would not completely depoliticize reform. Nor would it address every source of provincial deficits. But its utility grows as provincial debt and tensions over transfers mount.